Mix of the Chalkidiki and Kalamata Olives, a combination of two classic olives. 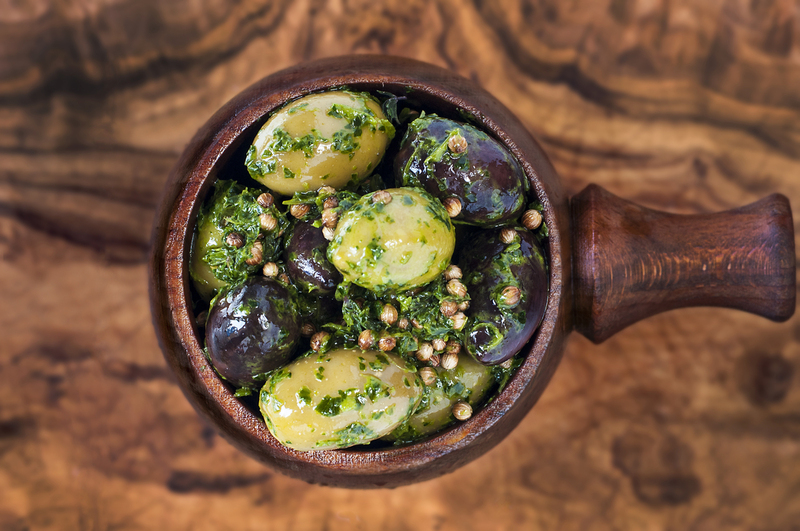 Both are nice and meaty and the coriander seeds add an unusual fragrance to the olives. This is the ideal option if you cannot decide on which olives to choose! Olives (87%), Fresh Coriander (1%), Fresh Orange Juice (1%), Garlic (1%), Thyme (1%), Coriander Seeds (1%), Rapeseed Oil. (Warning: Olives contain stones).